A pile of flytipped waste left in Levenshulme. A landlord has been successfully prosecuted after a large amount of flytipped waste dumped in Harpurhey was traced back to him by Manchester City Council's Environmental Crimes team. Tahsin Ali Jawdet, 57, of Barcicroft Road, Heaton Mersey, was ordered to pay a total penalty of more than £1,000, after admitting to allowing an individual to dispose of waste from his property without first checking that they were licensed to do so. On January 24 this year, officers working for Manchester City Council's waste contractor Biffa discovered a substantial pile of furniture and household items dumped in Vauxhall Street, Harpurhey. These items included tables, wooden cabinets and soft furnishings. When investigating before the waste was cleared, officers found documents which linked the waste back to a property in Chapel Street, Levenshulme, owned by Jawdet. When interviewed under caution in April, Jawdet confirmed that he was the owner of the Levenshulme property and that the dumped items had come from that address. He told investigating officers that after the end of a tenancy, he had arranged for items inside the house to be removed, paying £205 for two bedrooms, a kitchen, bathroom and living room to be cleared. Jawdet admitted he did not check if the person hired to carry out the clearance was authorised to transport and dispose of waste. Officers from the council’s Environmental Crimes Team have not been able to trace the person hired by Jawdet. At a hearing at Manchester and Salford Magistrates’ Court on November 8, Jawdet pleaded guilty to failing to adhere to his duty of care by passing on waste to an unauthorised person. He was fined £300, ordered to pay a victim surcharge of £30, and pay court costs of £697.36 - a total penalty of £1,027.36. 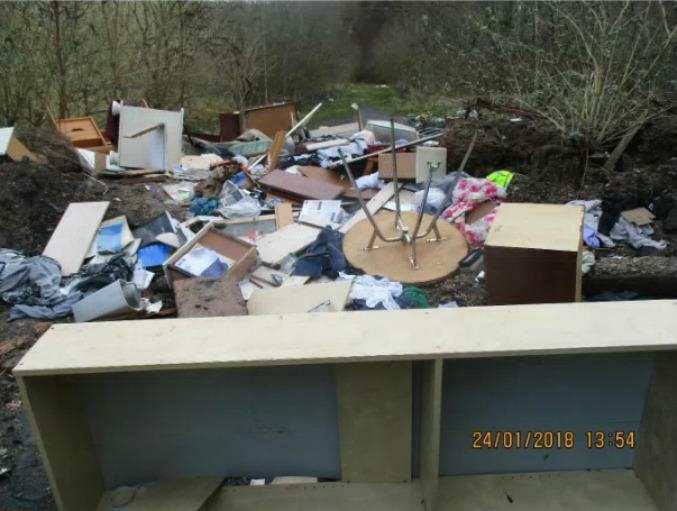 Executive Member for Neighbourhoods, Councillor Rabnawaz Akbar, said: “Flytipping is a blight on our communities and our residents should not be left to suffer the consequences of such selfish crimes. This prosecution shows that we are determined to crack down on individuals or businesses who dump waste and track down those responsible. "Jawdet tried to wash his hands of his responsibilities when he hired someone to remove waste from his property without checking that they were licensed, so I'm pleased that our officers made sure he paid the penalty. I want to thank the Biffa staff who initially detected this offence and our Environmental Crimes Team for successfully bringing Jawdet to justice. "The law governing the proper disposal of household waste is clear and information is easily available about how landlords can dispose of unwanted furniture and large household items. There is no excuse for ignorance in this situation. "